This area is area is known for its mineral resources, particularly the coal which was mined in the vicinity of Arigna. There were also iron workings beside Lough Allen at the base of this mountain, still operating in the late 19th century. A local legend holds that they were worked by Goibnenn, the smith-god of the Tuatha Dé Danann. Slieve Anierin is the second highest mountain in the Breifne area and the 328th highest in Ireland. Slieve Anierin is the most southerly summit and also the most westerly in the Breifne area. 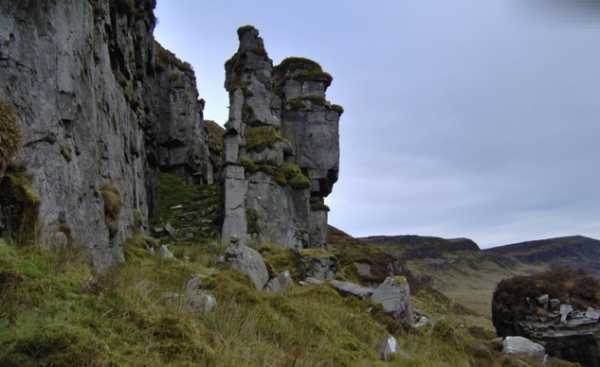 Slieve Anierin is the third highest point in county Leitrim.